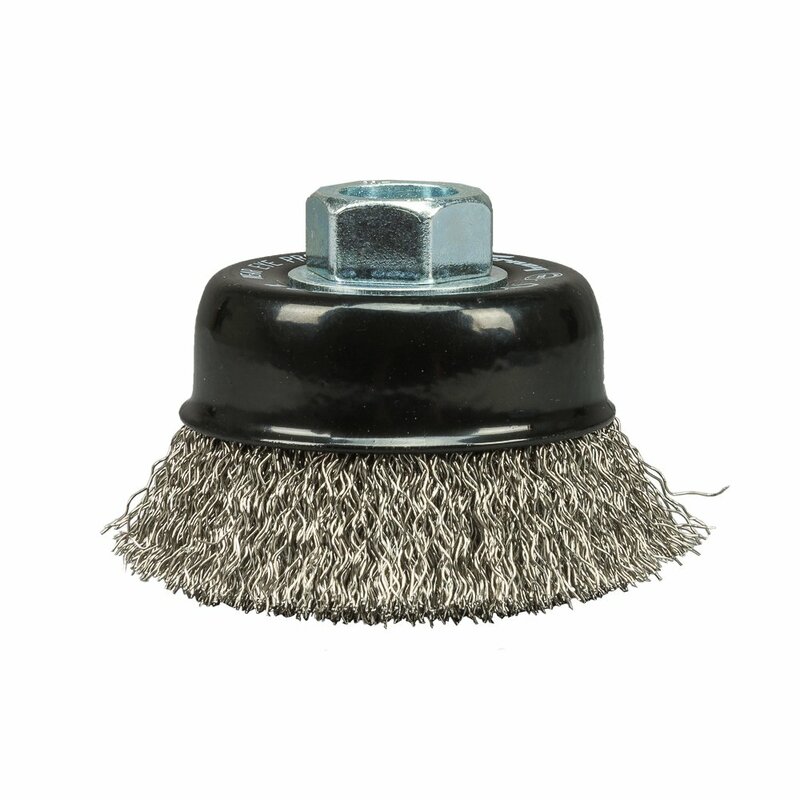 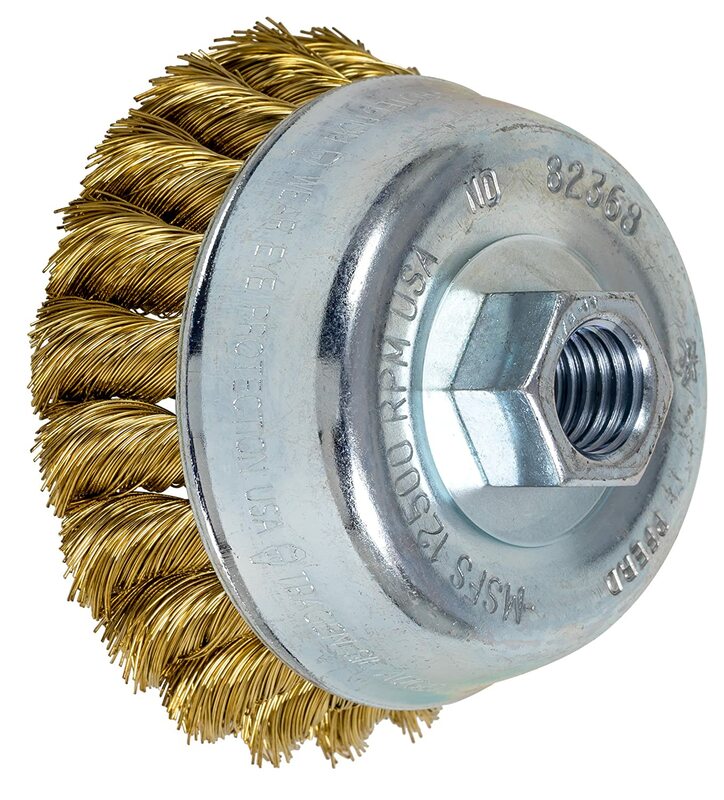 PFERD 82368 Standard Twist Knot Cup Brush, Brass Wire, 3-1/2' Diameter, 5/8-11 External Thread, 0.014 Wire Size, 7/8' Trim Length, 12500 RPM, POP Packaging 3-1/2 Diameter 7/8 Trim Length PFERD Inc.
Home / Industrial & Scientific / Abrasive & Finishing Products / Abrasive Brushes / Power Brushes / Cup Power Brushes / PFERD 82368 Standard Twist Knot Cup Brush, Brass Wire, 3-1/2' Diameter, 5/8-11 External Thread, 0.014 Wire Size, 7/8' Trim Length, 12500 RPM, POP Packaging 3-1/2 Diameter 7/8 Trim Length PFERD Inc.
PFERD Standard twist knot cup brush with brass wire for use on large surfaces where a great deal of roughing is required. 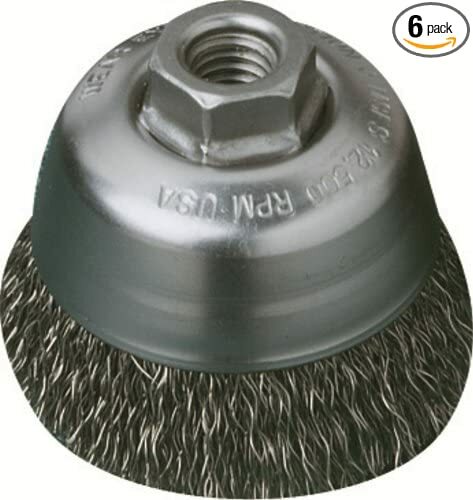 Good for corners and angles, and removal of contaminants such as scale, concrete, slag, and marine growth. 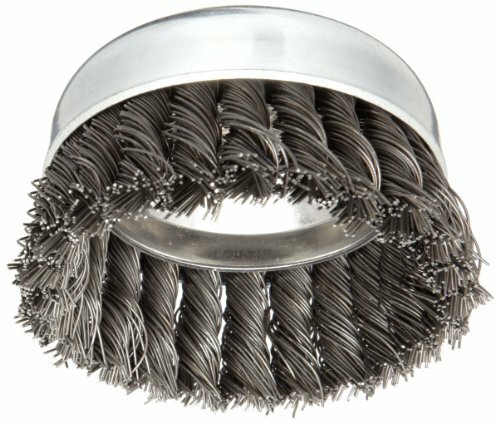 Specification: Diameter (inches): -1/; Thread Size: 5/8-11; Wire Size: .01; Trim Length (inches): 7/8; Maximum Rotational Speed (RPM): 1500.